Government leaders vowed to overhaul the central bank’s board, citing past bank failures. The intervention looks like political swagger as rivalry within the League and 5-Star coalition gets fiercer. Existing rules should shield the regulator, but other institutions are at risk. Banca D'Italia (Bank of Italy) sign is seen in downtown Rome, Italy, October 19, 2018. The leaders of Italy’s governing coalition parties – Matteo Salvini of the far-right League and Luigi Di Maio of the anti-establishment 5-Star Movement – promised on Feb. 9 to replace top officials at the country’s central bank, a threat to the institution’s independence. The comments were made just ahead of a regional vote in the southern Abruzzo region on Feb. 10. A centre-right candidate supported by the League won around 48 percent of votes, while 5-Star scored 20 percent, a poor result compared with its about 40 percent share in 2018 national elections. The mandate of Luigi Signorini, a Bank of Italy government board member, expired this month. Two further central bank board members will be up for renewal in May. 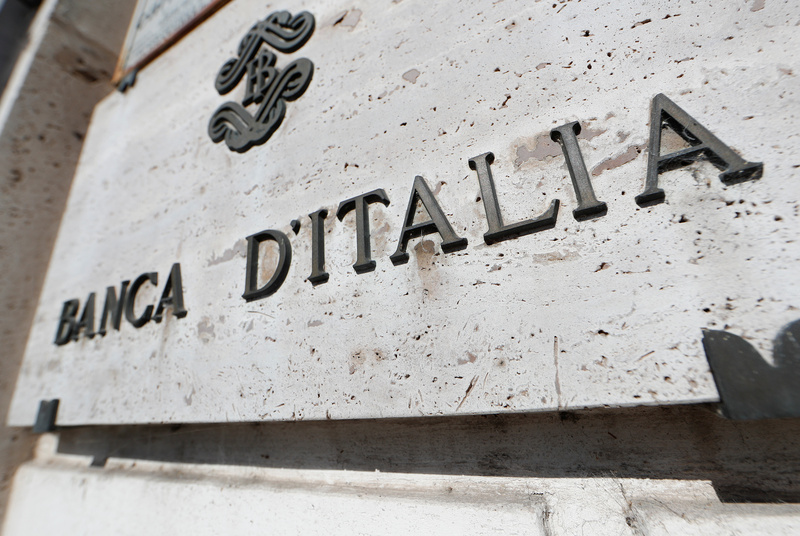 Italian newspaper La Stampa said on Feb. 11 that the government was considering selling part of its 2.45 tonnes of gold reserves, held by the Bank of Italy and the third-largest in the world, to rein in its budget deficit. The ruling League party has drafted a legislative proposal that would potentially allow a sale through a change in Italy’s constitution, Reuters reported.